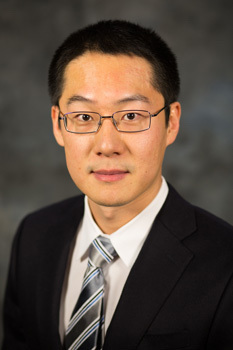 Siyuan Liu is with Smeal College of Business, Pennsylvania State University. He received his first Ph.D. degree from Department of Computer Science and Engineering at Hong Kong University of Science and Technology, and the second Ph.D. degree from University of Chinese Academy of Sciences. Spatial and temporal data mining, social networks analytics, and mobile marketing. The application of IT tools and techniques to extract value from data sets to manage, manipulate and analyze data in organizations. Application of Information Technology based methods and tools to analyze business data and support decision making. Liu S., "Heterogeneous anomaly detection in social diffusion with discriminative feature discovery." Information Sciences, 2018. Liu S., Zhang J., "Big Data, Big Marketing." (China Development Press), 2017, Invited. Le T. V., Oentaryo R., Liu S., Lau H. C., "Local Gaussian Processes for Efficient Fine-Grained Traffic Speed Prediction." IEEE Transactions on Big Data, vol. 3, no. 2, 2017, pp. 194–207. Zhao J., Qu Q., Zhang F., Xu C., Liu S., "Spatio-Temporal Analysis of Passenger Travel Patterns in Massive Smart Card Data." IEEE Transactions on Intelligent Transportation Systems, 2017. Liu S., Wang S., "Trajectory Community Discovery and Recommendation by Multi-Source Diffusion Modeling." IEEE Transactions on Knowledge and Data Engineering, vol. 29, no. 4, 2017, pp. 898–911. Wu T., Zhang C. J., Chen L., Hui P., Liu S., "Object identification with Pay-As-You-Go crowdsourcing." 2016, pp. 578–585. Le T. V., Liu S., Lau H. C., "Reinforcement learning framework for modeling spatial sequential decisions under uncertainty." 2016, pp. 1449–1450. Zhao K., Tarkoma S., Liu S., Vo H., "Urban human mobility data mining: An overview." 2016, pp. 1911–1920. Hua Y., Wang S., Liu S., Cai A., Huang Q., "Corrections to “Cross-Modal Correlation Learning by Adaptive Hierarchical Semantic Aggregation”[Jun 16 1201-1216]." IEEE Transactions on Multimedia, vol. 18, no. 10, 2016, pp. 2127–2127. Hua Y., Wang S., Liu S., Cai A., Huang Q., "Cross-modal correlation learning by adaptive hierarchical semantic aggregation." IEEE Transactions on Multimedia, vol. 18, no. 6, 2016, pp. 1201–1216. Liu S., Qu Q., "Dynamic collective routing using crowdsourcing data." Transportation Research Part B: Methodological, vol. 93, 2016, pp. 450–469. Qu Q., Liu S., Zhu F., Jensen C. S., "Efficient Online Summarization of Large-Scale Dynamic Networks." IEEE Transactions on Knowledge and Data Engineering, vol. 28, no. 12, 2016, pp. 3231–3245. Zhang Y., Li B., Krishnan R., Liu S., "Learning from the Offline Trace: A Case Study of the Taxi Industry." 2015. Xie W., Zhu F., Liu S., Wang K., "Modelling cascades over time in microblogs." 2015, pp. 677–686. Le T. V., Liu S., Lau H. C., Krishnan R., "Predicting bundles of spatial locations from learning revealed preference data." 2015, pp. 1121–1129. Ghose A., Li B., Liu S., "Trajectory-based Mobile Advertising." 2015. Liu S., Yue Y., Krishnan R., "Non-Myopic Adaptive Route Planning in Uncertain Congestion Environments." IEEE Transactions on Knowledge and Data Engineering, 2015. Liu S., Qu Q., Wang S., "Rationality analytics from trajectories." ACM Transactions on Knowledge Discovery from Data (TKDD), vol. 10, no. 1, 2015, pp. 10. Liu S., Qu Q., Chen L., Ni L. M., "SMC: A practical schema for privacy-preserved data sharing over distributed data streams." IEEE Transactions on Big Data, vol. 1, no. 2, 2015, pp. 68–81. Liu S., Wang S., Zhu F., "Structured Learning from Heterogeneous Behavior for Social Identity Linkage." IEEE Transactions on Knowledge and Data Engineering, 2015. Liu S., Wang S., Liu C., Krishnan R., "Understanding taxi drivers’ routing choices from spatial and social traces." Frontiers of Computer Science, 2015, pp. 1–10. Chu L., Wang S., Liu S., Huang Q., Pei J., "ALID: Scalable Dominant Cluster Detection." 2014. Zheng J., Liu S., Ni L. M., "Effective mobile context pattern discovery via adapted hierarchical dirichlet processes." vol. 1, 2014, pp. 146–155. Qu Q., Liu S., Yang B., Jensen C. S., "Efficient top-k spatial locality search for co-located spatial web objects." vol. 1, 2014, pp. 269–278. Liu S., Wang S., Zhu F., Zhang J., Krishnan R., "Hydra: Large-scale social identity linkage via heterogeneous behavior modeling." 2014, pp. 51–62. Qu Q., Liu S., Yang B., Jensen C. S., "Integrating non-spatial preferences into spatial location queries." 2014, pp. 8. Qu Q., Liu S., Jensen C. S., Zhu F., Faloutsos C., "Interestingness-driven diffusion process summarization in dynamic networks." 2014, pp. 597–613. Liu S., Wang S., Krishnan R., "Persistent community detection in dynamic social networks." 2014, pp. 78–89. Zheng J., Liu S., Ni L. M., "Robust Bayesian Inverse Reinforcement Learning with Sparse Behavior Noise." 2014, pp. 2198–2205. Guo X., Chan E. C., Liu C., Wu K., Liu S., Ni L. M., "Shopprofiler: Profiling shops with crowdsourcing data." 2014, pp. 1240–1248. Hua Y. T., Wang S., Liu S., Huang Q., Cai A., "TINA: Cross-modal Correlation Learning by Adaptive Hierarchical Semantic Aggregation." 2014. Zheng J., Liu S., Ni L. M., "User characterization from geographic topic analysis in online social media." 2014, pp. 464–471. Lu L., Cao N., Liu S., Ni L., Yuan X., Qu H., "Visual analysis of uncertainty in trajectories." 2014, pp. 509–520. Liu S., Chen L., Ni L. M., "Anomaly detection from incomplete data." ACM Transactions on Knowledge Discovery from Data (TKDD), vol. 9, no. 2, 2014, pp. 11. Liu S., Ni L. M., Krishnan R., "Fraud detection from taxis’ driving behaviors." IEEE Transactions on Vehicular Technology, vol. 63, no. 1, 2014, pp. 464–472. Liu S., Kang L., Chen L., Ni L. M., "How to Conduct Distributed IncompletePattern Matching." IEEE Transactions on Parallel and Distributed Systems, vol. 25, no. 4, 2014, pp. 982–992. Pu J., Liu S., Xu P., Qu H., Ni L. M., "MViewer: mobile phone spatiotemporal data viewer." Frontiers of Computer Science, vol. 8, no. 2, 2014, pp. 298–315. Liu S., Yue Y., Krishnan R., "Adaptive collective routing using gaussian process dynamic congestion models." 2013, pp. 704–712. Zheng J., Liu S., Ni L., "Effective routine behavior pattern discovery from sparse mobile phone data via collaborative filtering." 2013. Liu S., Li L., Krishnan R., "Hibernating Process: Modelling Mobile Calls at Multiple Scales." 2013, pp. 1139–1144. Ding Y., Liu S., Pu J., Ni L. M., "Hunts: A trajectory recommendation system for effective and efficient hunting of taxi passengers." vol. 1, 2013, pp. 107–116. Liu S., Krishnan R., Brunskill E., Ni L. M., "Modeling Social Information Learning among Taxi Drivers." 2013, pp. 73–84. Pu J., Liu S., Ding Y., Qu H., Ni L., "T-watcher: A new visual analytic system for effective traffic surveillance." vol. 1, 2013, pp. 127–136. Liu S., Wang S., Jayarajah K., Misra A., Krishnan R., "TODMIS: Mining communities from trajectories." 2013, pp. 2109–2118. Liu S., Araujo M., Brunskill E., Rossetti R., Barros J., Krishnan R., "Understanding sequential decisions via inverse reinforcement learning." vol. 1, 2013, pp. 177–186. Liu S., Liu Y., Ni L., Li M., Fan J., "Detecting crowdedness spot in city transportation." IEEE Transactions on Vehicular Technology, vol. 62, no. 4, 2013, pp. 1527–1539. Liu S., Pu J., Luo Q., Qu H., Ni L. M., Krishnan R., "Vait: A visual analytics system for metropolitan transportation." IEEE Transactions on Intelligent Transportation Systems, vol. 14, no. 4, 2013, pp. 1586–1596. Liu S., Liu C., Luo Q., Ni L. M., Krishnan R., "Calibrating large scale vehicle trajectory data." 2012, pp. 222–231. Liu S., Kang L., Chen L., Ni L., "Distributed Incomplete Pattern Matching via a Novel Weighted Bloom Filter." 2012, pp. 122–131. Liu C., Liu S., Hamdi M., "GeRA: Generic rate adaptation for vehicular networks." 2012, pp. 5311–5315. Pu J., Liu S., Qu H., Ni L. M., "Visual Fingerprinting: A New Visual Mining Approach for Large-Scale Spatio-temporal Evolving Data." 2012, pp. 502–515. Gao Y., Xu P., Lu L., Liu H., Liu S., Qu H., "Visualization of taxi drivers’ income and mobility intelligence." Advances in Visual Computing, 2012, pp. 275–284. Zhang W., Wang X., Liu S., Liu C., Liu Y., "Population burst trajectory retrieval in smart city." (Springer, Berlin, Heidelberg), 2011, pp. 407–416. Wang X., Liu S., Liu C., Liu Y., "Population Bursts Management in Digital City." (Springer, Berlin, Heidelberg), 2011, pp. 397–406. Liu S., Liu C., Luo Q., Ni L. M., Qu H., "A visual analytics system for metropolitan transportation." 2011, pp. 477–480. Liu S., Chen L., Ni L. M., Fan J., "Cim: categorical influence maximization." 2011, pp. 124. Liu S., Li L., Faloutsos C., Ni L. M., "Mobile phone graph evolution: Findings, model and interpretation." 2011, pp. 323–330. Pu J., Xu P., Qu H., Cui W., Liu S., Ni L., "Visual analysis of people’s mobility pattern from mobile phone data." 2011, pp. 13. Zhang D., Yang Y., Cheng D., Liu S., Ni L. M., "COCKTAIL: An RF-based hybrid approach for indoor localization." 2010, pp. 1–5. Liu S., Liu Y., Ni L. M., Fan J., Li M., "Towards mobility-based clustering." 2010, pp. 919–928. Liu S., Wen G., Fan J., "A 3d geosciences modeling system for large-scale water-diversion projects." Computing in science & engineering, vol. 12, no. 1, 2010, pp. 28–35. Liu C., Wu X., Liu S., Zhao C., "A High Exchange Rate Algorithm Based on Improved Decision Tree." 2008, pp. 869–872. Li L., Liu S., Chen M., Fan J., "Grid memory service architecture for high performance computing." 2008, pp. 22–27. Luo H., Zhao Y., Guo Z., Liu S., Chen P., Ni L. M., "UDB: Using directional beacons for localization in underwater sensor networks." 2008, pp. 551–558.